I want to make a comparison TCL 65R617 vs TCL 65C807 in ability to produce a good quality of video and sound playback. 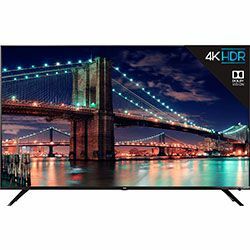 These are two similar Ultra HD TVs with Roku OS from series R6 (2018) and C807 (2017) from the price segment about 1000 dollars, but they have differences in design and I decided to share my opinion about the choice of the TV with better picture reproduction in my TCL 65C807 vs TCL 65R617 review. TCL 65R617 has glossy VA matrix with LED backlight. Screen size is 65 inches. Its resolution reaches 3840x2160, with a refresh rate of 120Hz. The matrix has excellent color reproduction and adequately reproduces the grayscale and the color palette of pure colors. The response time of the matrix is 8 ms and the image remains smooth even in a dynamic scene. TCL 65C807 has a display with a diagonal of 65 inches. 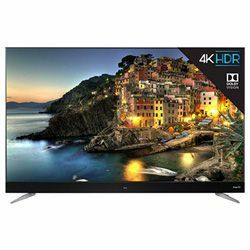 If you compare TCL 65C807 vs 65R617, 65C807 has a 10-bit glossy VA 4K matrix with worse color display and lower contrast than 65R617. Still, the image remains sharp, even in dynamic scenes, it is easily perceived by the eye. The smart platform of both televisions is Roku TV with access to numerous services for watching movies and TV shows. Dolby Vision technology with HDR support gives the image natural and deep color reproduction. In the design of the TCL 65R617, there are no seams on the aluminum edging of the TV`s LCD panel. The upper part is made very thin — about a 0.4 inches, it expands downwards. There are connectors and built-in speaker system. The TV has 2 elegant legs, which are fastened with screws included in the package. TCL 65C807 is made of high-strength plastic in gray; around the screen, you can see a 14mm aluminum frame. Comparing TCL 65R617 vs 65C807, it should be noted that TCL 65C807 has a thick bottom frame. It stands firmly on any surface, relying on two forked legs along the edges. Built-in diode backlight helps create natural black color. It is difficult to set up the Roku Account. You can not change the hot buttons on the remote control. The picture quality is incredible, especially for a TV at this price range. Bad anti-reflective coating and glossiness. If the TV is located opposite the unopened window, on a sunny day it will disturb watching TV. After turning on the TV is activated within a minute. This is a bad result for Roku OS.